Super Savings! 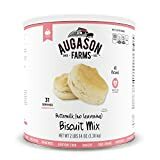 Up to 35% off on Biscuits at Love for Salad. Top brands include Custom Culinary, Dixie Carb Counters, & Augason Farms. Hurry! Limited time offers. Offers valid only while supplies last. 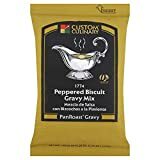 Custom Culinary PanRoast Peppered Biscuit Gravy Mix, 20 Ounce - 6 per case.